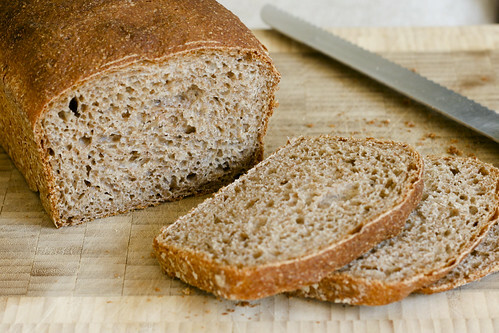 Spelt bread is similar to bread made with normal bread flour but has a sweet, nutty flavour. This recipe makes a 750g loaf. Place all ingredients except water into a bowl. Beat with mixer while slowly adding water. Beat for about 10 minutes until dough becomes firm. If dough is sticky add some more flour till firm. Cover bowl with a teatowel or plastic wrap and leave in a warm place until dough doubles in size -- usually about 20 - 30 minutes. Punch dough down to remove all air pockets. Shape and place in suitable loaf tin. Cook in a hot oven (200C) until brown. Hint: loaf is cooked if it sounds hollow when tapped.